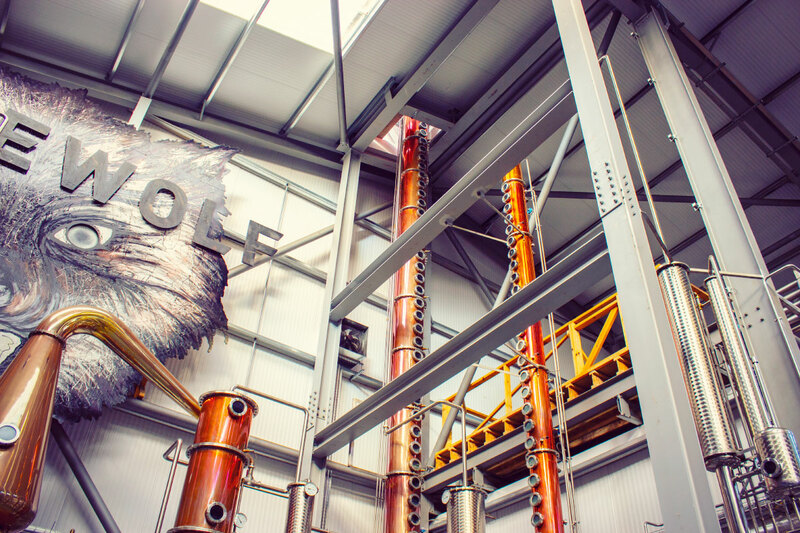 BrewDog Distilling Co. mill and mash their own grain, ferment their wort and distill their spirit. 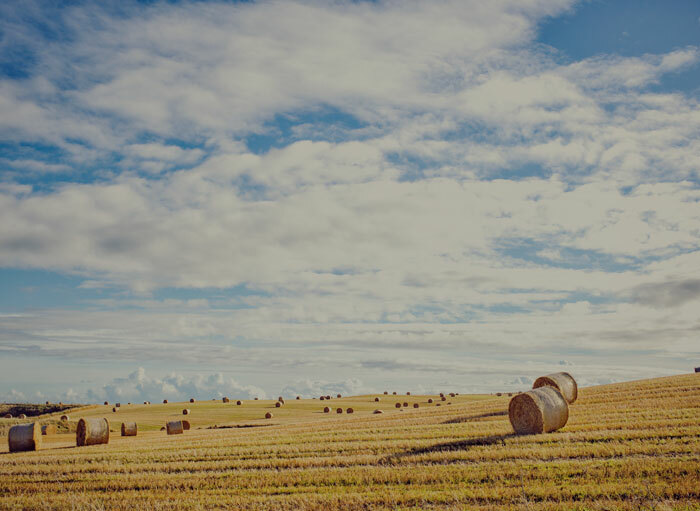 Everything is done from scratch, which means they are the custodians of their spirit at every stage in its creation. Made in small batches, painstakingly distilled and constantly tweaked to perfection over 192 different gin distillations. The story of BrewDog has been one of innovation, rebellion and sticking two fingers up to the man. Fast forward to the present day and you’ll find a craft beer phenomenon and there’s no denying the folks at BrewDog changed what a brewery should be and how a brewery could be run as a business with their Equity for Punks shares scheme. 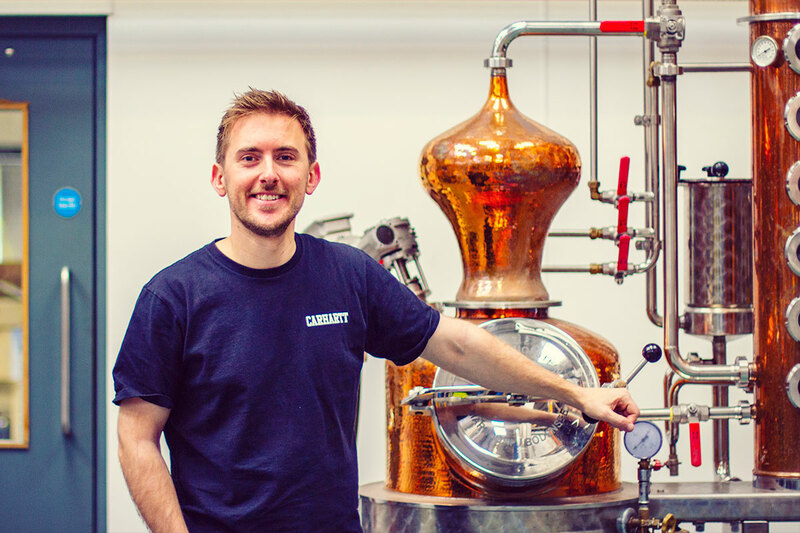 Putting the last decade’s experience to good use, the BrewDog team set-up their very own distillery run by Master Distiller Steven Kersley and introduced the world to their very own spirits. 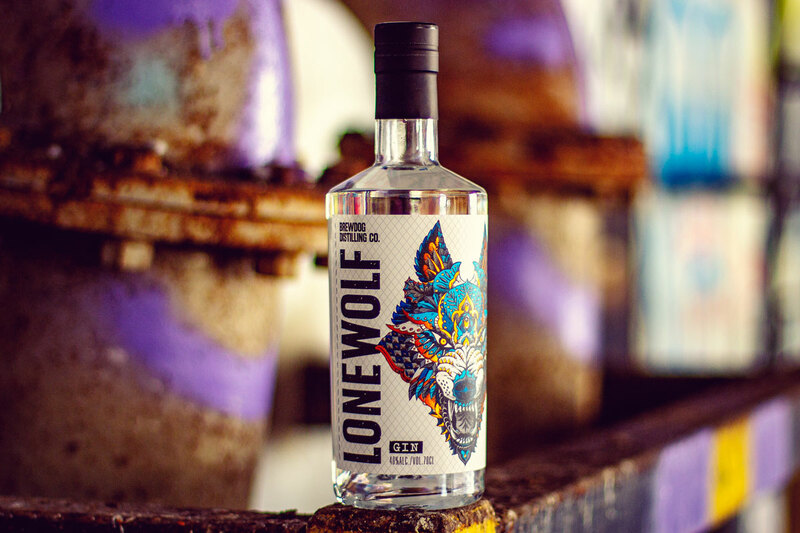 LoneWolf Gin is purity personified. A twenty-first century taste sensation. Juniper berries form the perfect backbone of this gin. And lemongrass and Kaffir lime leaf add character. A zest-filled start gives way to delicate spice notes from the coriander, pink peppercorns and mace: a perfect complement to the citrus fruits. Lavender provides a delicate floral sweetness and Scots pine needles help to embed the juniper. Distilled using the bespoke triple-bubble copper still, the only one of its kind in existence, providing maximum copper contact for the spirit. This juniper forward gin is made using Brewdog Distilling Co.’s very own base spirit, which is distilled on-site at the distillery making this a true grain to glass gin. The flavour profile features juniper, citrus, pepper and spice and is bottled at 44% ABV. A first wave of oriental spice hits the palate from the pink, black and Szechuan peppercorns, closely followed and balanced by sweet citrus notes drawn from the peel of Paraguayan bitter oranges, Sicilian lemons and Mexican pink grapefruits, finished off with an all-out star anise assault. 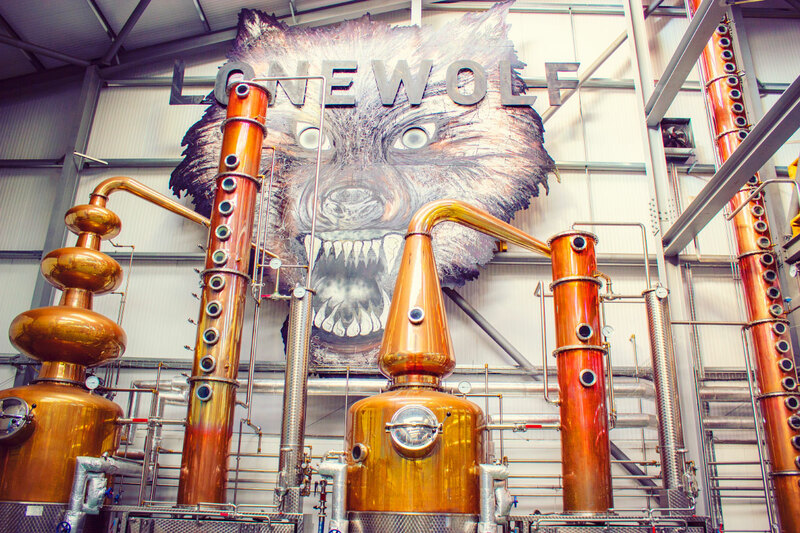 Watched over carefully by a 30 foot high Lone Wolf, the BrewDog Distillery is both majestic and beautiful. Featuring a variety of stills, the distillery is home to what it thought to be the UK’s tallest column still coming in just shy of 60ft tall. 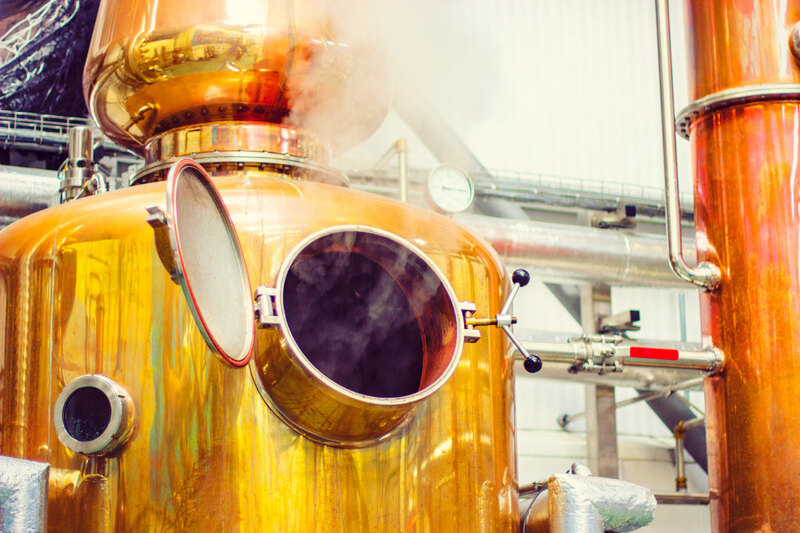 The three headed bubble still and columns play a role in the creation of the base spirit that’s created on-site using a mix of wheat, barley and the distillery’s own special yeast before the final gin distillation takes place in a smaller 400 litre Arnold Holstein still.